We revisit this quirkly little puzzler for the Game Boy Advance. Donkey Kong’s latest adventure is out, but is it any good? Only one way to find out. This cel-shaded RPG is one of the best around for Sony’s console. Don’t believe us? Then read on. Discover why EA’s stunning survival horror game is still going to be played in years to come. Bart Van Hoey is rather excited about his favourite NES game. Was it comic book gold when Spider-Man and the X-Men teamed together? Only one way to find out. Ryan McNeilly explains why you really should take this Michael Jackson game for a whirl. Ryan McNeilly kicks off the Sega love with a tribute to this forgotten platform hero. Pac-Man grows up in this fun and occassionally frustrating platformer. Was Capcom’s fighter an awesome beat-’em-up or a milked cash cow. Ryan McNeilly thinks it was both. Martin Hinson explains why Destruction Derby still has what it takes to be a fun racer. A lot of people think Super Mario Sunshine is one of the worst Mario games. A lot of people are wrong. Find out if Nintendo and indieszero’s remix of classic NES games hits the sweet spot. Get some first-person boxing with this fun game from Accolade. Sony’s PS4 exclusive certainly looks pretty, but is it the PS4 saviour that many are claiming it to be. Darran Jones gets trigger happy. The Marathon Trilogy line of titles were among the greatest in First Person Shooting history, introducing (and popularising) many of the concepts we now take for granted. A rare game on an obscure system, Zenki is an anime licensed fighting game that resembles the Saturn classic Guardian Heroes. Does it justify its high price? 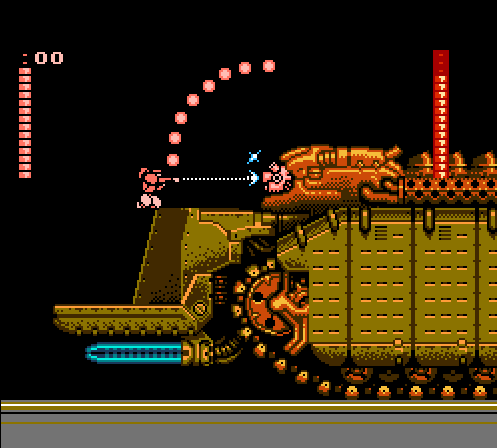 Find out why the Oric community loves this frantic shoot-’em-up. Darran Jones explains why, 25 years after its original release, he still adores Sega’s classic fantasy brawler. I love Toy Story. It is my favourite film of all-time. From watching it as a small kid I have always had a place in my heart for it and it’s video-games no matter how good or bad. So in 2001 when Toy Story Racer was released I was perplexed to say the least.